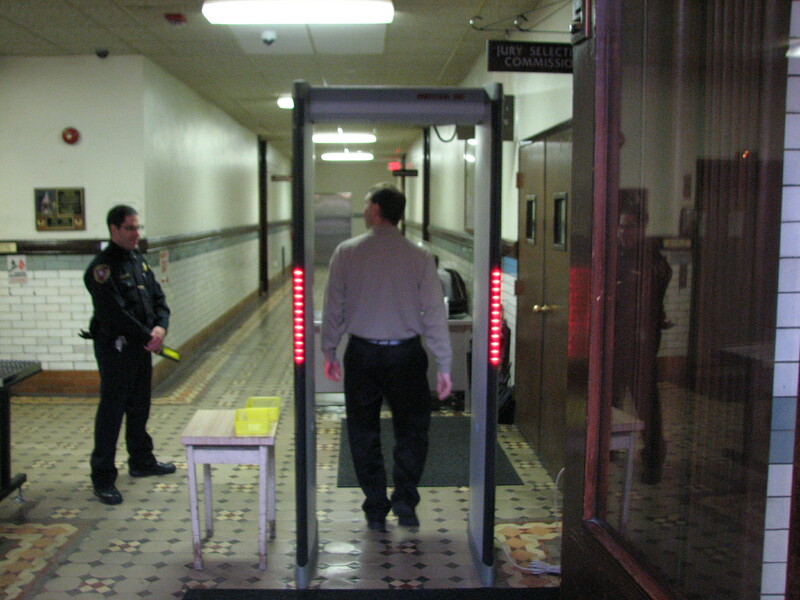 Security checkpoints are located at the main entrances of all county buildings where court related offices are housed. Security officers scan all persons entering the building for any weapons or contraband. 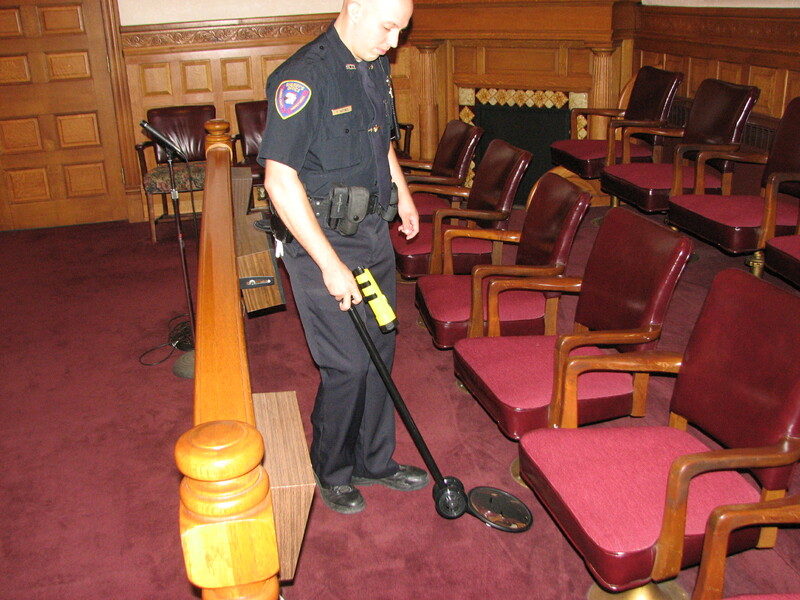 If a weapon or contraband is discovered, the appropriate charges are filed. The Sheriff is responsible for the security of the Court of Common Pleas of Carbon County. The county currently has 3 judges that require security in their respective courtrooms.